While basic techniques of test-driven development are simple to understand, real-world application requires knowledge of tools and techniques to effectively create, run and organize tests. This book bridges the gap between simple concepts and complex application. 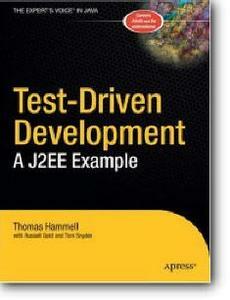 Ideal for you Java developers, this book explains how to use test-driven development to improve J2EE construction. Not version-specific, this unprecedented book explains development tools and methodologies in conjunction with real-world cases and examples. It includes the use of open source unit testing frameworks such as JUnit and its extensions. The authors include complete stages: test coverage strategies, test organization, TDD incorporation, and automation. Two appendices are also included, for test planning and reference.